At Berkhamsted Boys we combine high-quality teaching and modern facilities with a deep understanding of our students and their needs. While we have a strong focus on academic achievement, we also believe that opportunities beyond the curriculum are just as important to our pupils’ development. We create a warm and welcoming environment where your son will thrive as he is given the attention and support that he needs to flourish – one of the many benefits of a small class size and nurturing staff. 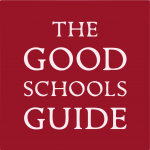 This combination will not only guide and support your son through his school years, it will also serve him in good stead for fulfilling his true potential and achieving success in his life beyond Berkhamsted. We seek to inspire and encourage our students to enliven their interests, cultivating their appetite for learning. We teach boys at Berkhamsted to be ambitious yet compassionate, courteous and honourable. Our aim at Berkhamsted Boys is to nurture our students, developing them into remarkable people with the motivation to succeed in the future. BLP creates a learning friendly classroom culture, encouraging your son to be an innovative, confident, curious and independent learner. Our staff create a classroom environment that will enable your son to become a lifelong learner, facing any future difficulty calmly and creatively. These skills equip your son with the learning habits and skills he will need to thrive in the 21st century. They also provide the ability for your son to take control of their own learning, which you will see when they write their own summary report comments. You will see how they are able to identify areas of learning habits where they have made progress and where they need to make more effort. If you would like to know more about BLP, talk to our boys when you visit our School. We believe they provide the best example of the benefits of Building Learning Power. At Berkhamsted, we recognise that intelligence takes many forms. We will always recognise, support and encourage your son’s talents and interests. There are so many avenues at Berkhamsted where our pupils can fulfil their potential – from the classroom to the stage and beyond. We encourage adventurous learners, so your son will find a wealth of enrichment opportunities such as reading recommendations, essay competitions, clubs and excursions, as well as conundrums and challenges. Our student-centred brochure, Horizons invites pupils to explore the range of enrichment activities available in (and beyond) the school. The values of Berkhamsted Boys are reflected in our value to ‘aim high with integrity’. We encourage every pupil to have a growth mindset which is open to learning. The effort our students put in is praised, leading students to understand the capacity for success if they work hard. In this way, our boys are motivated to take an extra step academically. Berkhamsted boys are also taught to see that hard work can achieve exceptional results outside the classroom too. We also value being adventurous with many GCSE students completing their Duke of Edinburgh Award during Year 11, while others see success on the sports pitch. These extra-curricular achievements and commitments not only provide an all-round education, but they also help to minimise GCSE exam stress and promote good mental health. At Berkhamsted Boys the curriculum provides a broad and balanced education. This will enable students to have choose their pathway through A Level studies, further education and future careers. The GCSE options encompasses the core subjects plus four subject which may include languages, humanities, physical education or creative subjective. The GCSE Information Booklet contains the full details for each subject. We support and encourage students throughout the exam process, making sure that the boys’ wellbeing is a priority. Students are taught how to be resilient – to prepare for exams mentally as well as academically. Our staff are always on hand to discuss any worries or concerns the boys may have. We are proud that our pupils achieve excellent exam results with the School’s full support and encouragement. Berkhamsted Boys move up to Berkhamsted Sixth where we offer our students a choice of 27 core A Level courses (subject to meeting progression criteria – academic and behavioural). The majority of Berkhamsted Sixth students to study three subjects at A Level and we support them to achieve the highest possible grades in their chosen subjects. In some instances, some students may take four A Levels or more. Our aim is to maximise your son’s chance of receiving their best possible grades to secure a place at his chosen university or take the first steps in their chosen career path. The majority of our students earned a place at their first choice of university, taking up places at the top institutions in the UK including Oxford, Cambridge and the Russell Group universities. While excellent A Level results are crucial, we also develop your son’s soft skills which are now highly sought after by universities and employers. Berkhamsted Sixth students have the option to attain the Extended Project Qualification (EPQ) and study for a Mini MBA in partnership with Ashridge Executive Education at Hult International Business School. Being able to demonstrate soft skills such as problem-solving, time management, conflict resolution, leadership and the ability to work under pressure equates to great potential to succeed and progress in their chosen career path. This also provides the boys with resilience and self-motivation. Berkhamsted School libraries are warm and welcoming environments where culture and learning thrive. The libraries are enjoyable spaces for our students which offer information, support and knowledge. Library-led sessions at Berkhamsted Boys are established within the Key Stage Three curriculum and help the boys to develop their research skills which are fundamental for lifelong learning. There is a strong connection between reading skills and academic success. It is important that students see reading as a pleasurable activity, so we have a large collection of books that allows them to read about any subject or genre they are passionate about. As well as providing mental stimulation, expanding vocabulary and improving concentration and focus, reading also reduces stress and anxiety. Throughout the year the library collaborates with academic departments to organise activities and celebrate events. Our younger boys will also benefit from storyteller and author visits to bring the books to life – inspiring the boys’ imaginations. Our library staff help to develop the boys’ research skills in Year 7, providing access to a variety of electronic databases containing reliable and scholarly content on a range of topics to support students with their project and course work. At Berkhamsted Boys our Learning Support department aims to develop a positive learning environment for every pupil, supporting the boys to achieve to the best of their ability across the curriculum. We are aware that the needs of every boy differ with our inclusive ‘Whole School Approach’ is designed to support individual strengths and learning styles. Our Learning Support department helps students with their planning and organisation, enabling the boys to become motivated and independent learners.